Princess Calisandra is two hundred years old, and you would never know it, because she still possesses the body, mind, experiences, and maturity of a very young woman. That is what happens when you pass your whole life in a kingdom locked by magic into winter, timelessness, and an inescapable sameness. But finally something is giving, either in Cali or in the magic, because after two hundred years of accepting every day just like the last, she is growing restless. She is about to rebel. She is about to find out what, or who, may exist outside her empty little kingdom, locked in winter and in time. Heart of the Winterland, written by Kirsten Kooristra, is a fantasy novel appropriate for all audiences. It is rich in world-building and in characters, bringing together warriors, princesses, and sorceresses across a diverse range of milieus, from snowy Trabor to the sea. The magical kingdom of Sjadia, the spell cast by the queen, and indeed the novel’s premise, all stand as imaginative and intriguing concepts. Unfortunately, there is a meandering quality to the plot. The heroine possesses no real goal, aside from ‘leave and see what’s there’, no nemesis, and little initiative. What she does is usually in response to what happens to her, and what happens to her is due almost entirely to other people or to coincidences. I waited for the central conflict or need to emerge, but it never did. 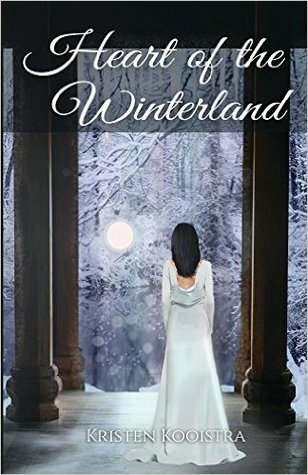 Heart of the Winterland is a gentle fantasy that is abundant with sympathetic characters, imaginative world-building, and intriguing fantastical concepts. At the same time, it lacks a strong driving force. Choose according to your preferences.